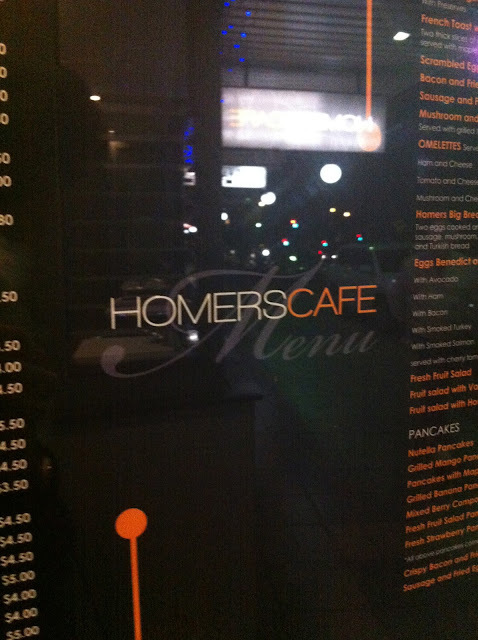 I didn't hear about Homers Cafe until recently and considering how there's one so close to me - at Ashfield - eventually I got around to trying it out! 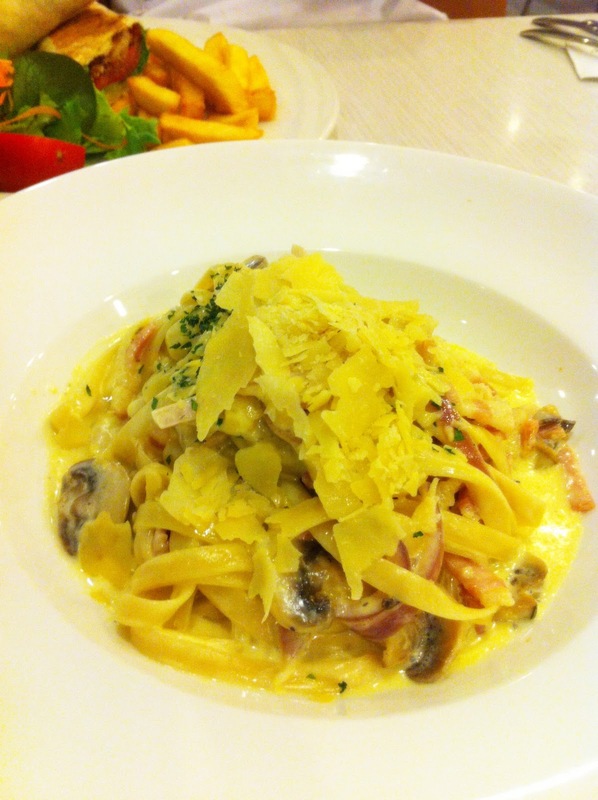 The menu covers a wide range of options that you'd expect from an all-rounded Cafe, including starters, pasta, salads, gourmet sandwiches and steak. There's even a separate dessert menu and a Chef's Specials list. Choices galore, in my opinion! 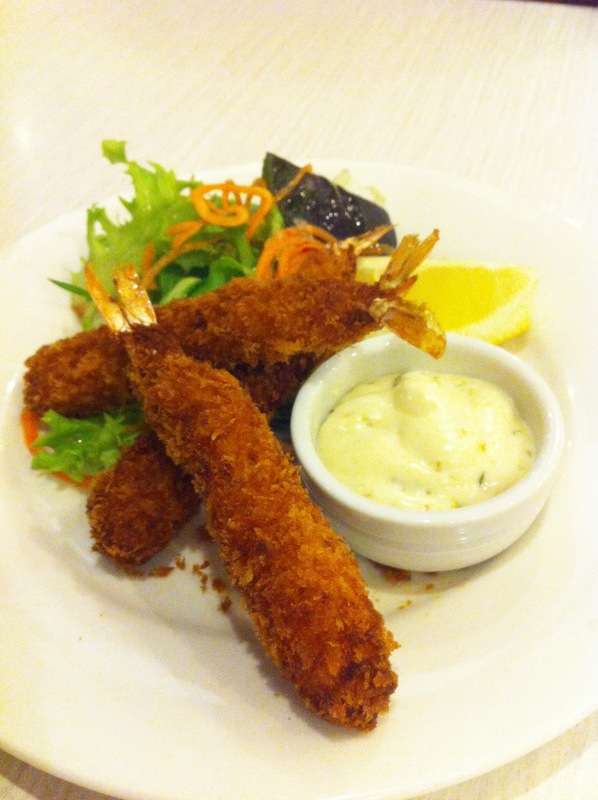 We start off with some Prawn Cutlets ($6), which turned out to be a delicious appetiser as it was fried nice and crunchy and the accompanying creamy tartare sauce made us crave desperately for more. 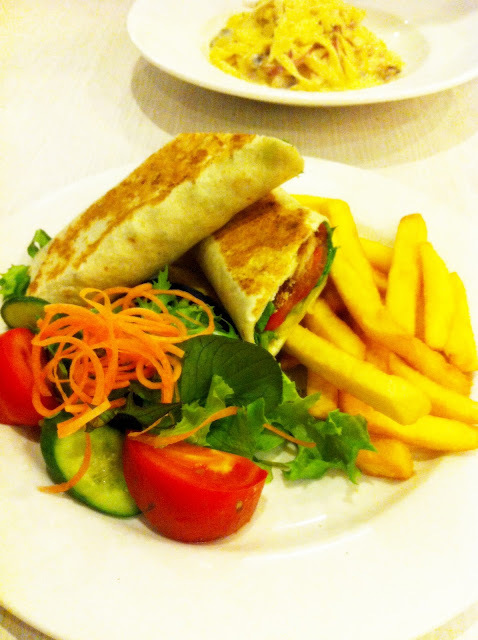 The Crispy Chicken Wrap ($12.80) was also very yummy for me as you really can't go wrong with some tasty chicken that's packed full of flavour with hints of sweet chilli sauce. You even get chips and salad - honestly for $12.80, that is quite a value package! I'd probably recommend getting this for lunch. Both M & I got a tad bit excited upon flipping over the glossy pages of the desserts menu - there were simply TOO MANY OPTIONS! You name it, they've got it. Whether you're after ice cream, pancakes, waffles, creme brulees, sundaes or cake - the menu covers it with enticing images and gastronomically seductive names to match. 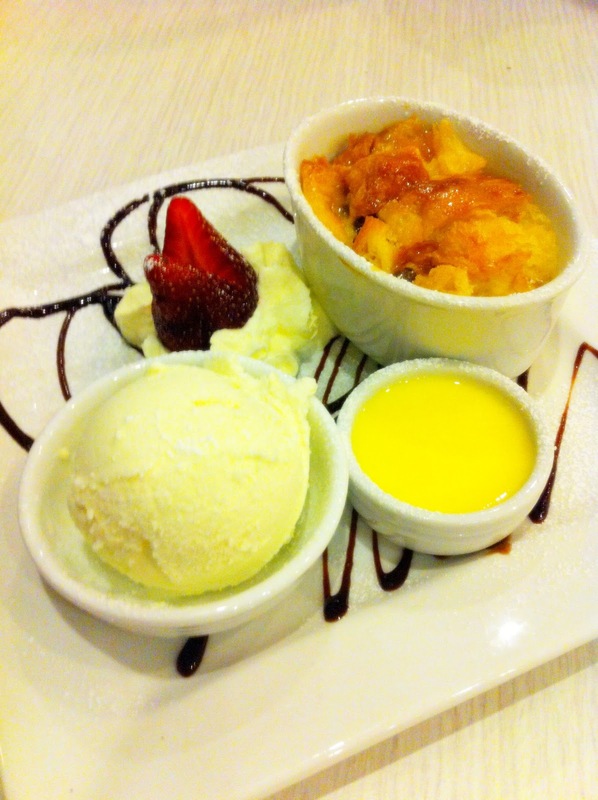 I simply could not resist trying out the Bread & Butter Pudding ($9.80) because I'm quite a sucker for custard sauce. Unfortunately, I was a little disappointed with what was served. When the staff bought over my dessert within 5 minutes, I knew something was wrong - the pudding was one of those pre-made frozen ones in which they heated upon order. As a result, the crust was a tad soggy and generally you could just tell that it wasn't made fresh. 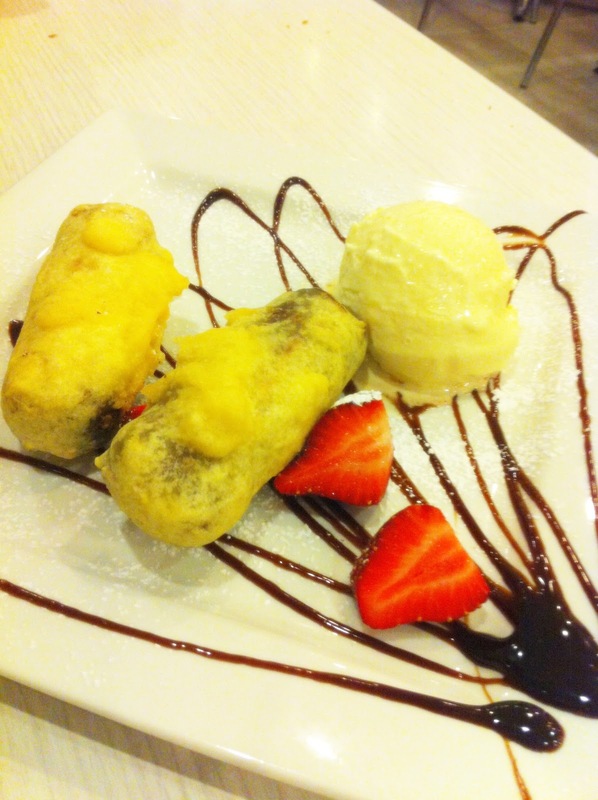 M and I was beyond ecstatic when we saw that Deep Fried Mars Bar ($9.80) was available on the menu. Mostly because our trips to Bondi would almost ALWAYS involve the memorable and joyful visit to the local seafood shop along the shores to grab ourselves a tasty bite of said amazing fried mars bar. In all honesty, it wasn't exactly the same thing however, I do give credit to Homer's for making a relatively good attempt. The main issue was that the mars bar didn't seem to fully melt within the batter (not fried through enough?) and so it wasnt as gooey and heavenly as the real deal. Homers at Ashfield is quite spacious with both indoor and outdoor seating - the booth like chairs inside gives off an open and casual dining atmosphere. Both M & I didn't see this fridge until we got up to pay. See, if we had realised that all the desserts were kind of frozen and pre-made, some different choices may have been made.